Kazuo Yamane’s father, Uichi, came to Hawaii in the late 19th century with nothing and built a successful family business. His eldest son, Kazuo, first educated in the discriminatory school system in Hawaii, eventually graduated from Waseda University, the Harvard of Japan, and returned to Hawaii just before the Pearl Harbor attack. Drafted just before the war he became part of what would be the War Department’s most successful social experiment, taking Nisei troops from Hawaii and forming the 100th Infantry Battalion, a unit made up of a group entirely related to a country we were at war with. 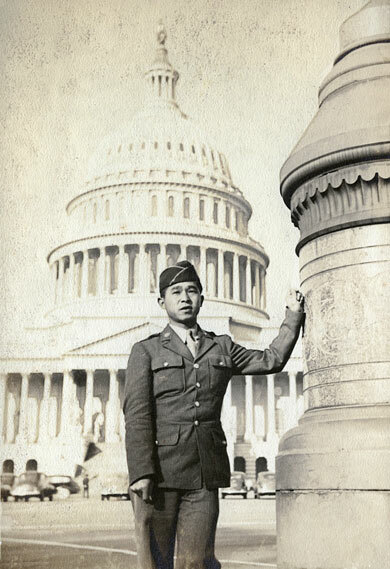 Their success was spectacular, but Kazuo was plucked from their ranks for his exceptional knowledge of Japanese, which would lead him to the Pentagon, to a secret facility in northern Maryland, and finally to serving under Eisenhower in Europe. Most importantly, he would identify a secret document which would help to shorten the war in the Pacific. The absolute loyalty of the Nisei to America in World War II, despite discrimination and incarceration provides an insight for us today. These American citizens used whatever skills they had to protect their beloved country, even while many Americans suspected them of being the enemy. The War Department trusted them and through them gained both a military advantage by strength and sacrifice on the battlefield to important intelligence behind the lines. Diversity powers America, but also keeps us safe — one only has to look at the Nisei to provide ample proof.